I had an awesome workout at the gym today – I pretty much increased weight in every single exercise! Actually I deadlifted 40kg which is more than ever before! My abs, back and triceps are going to be unbelievable sore tomorrow! Love it! Anyways when I finally got home (after almost 2 hours) I made this awesome lunch! 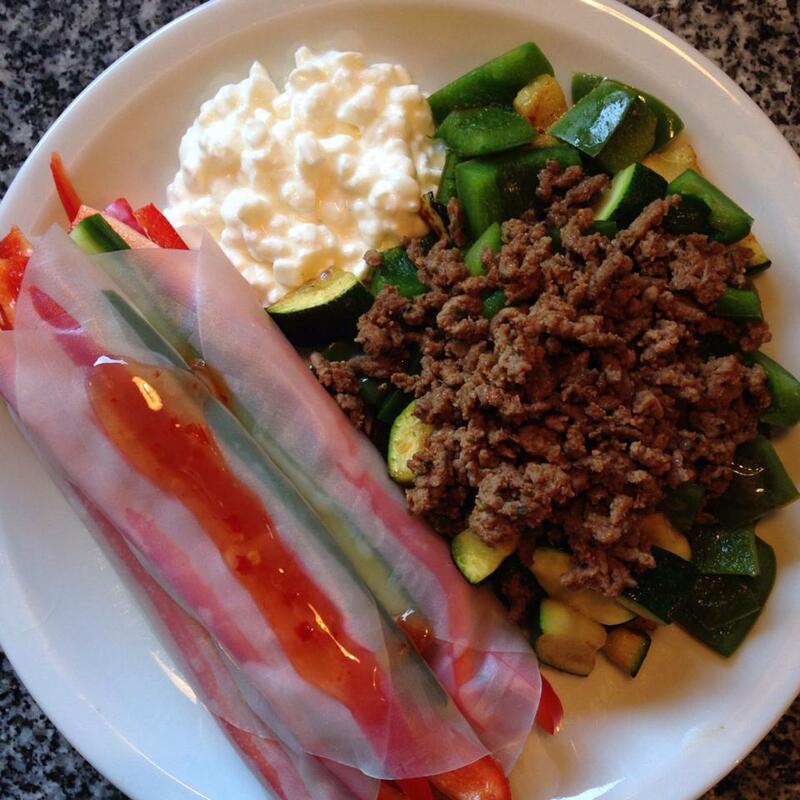 – 3 rice paper rolls filled with 1 red pepper, half a cucumber, sweet chili sauce and soya sauce. – half a squash and a green pepper steamed on a pan topped with Mexican spiced minced meat. I just love having vacation – that way I can cook nice fresh food for dinner instead of the usual lunchbox. 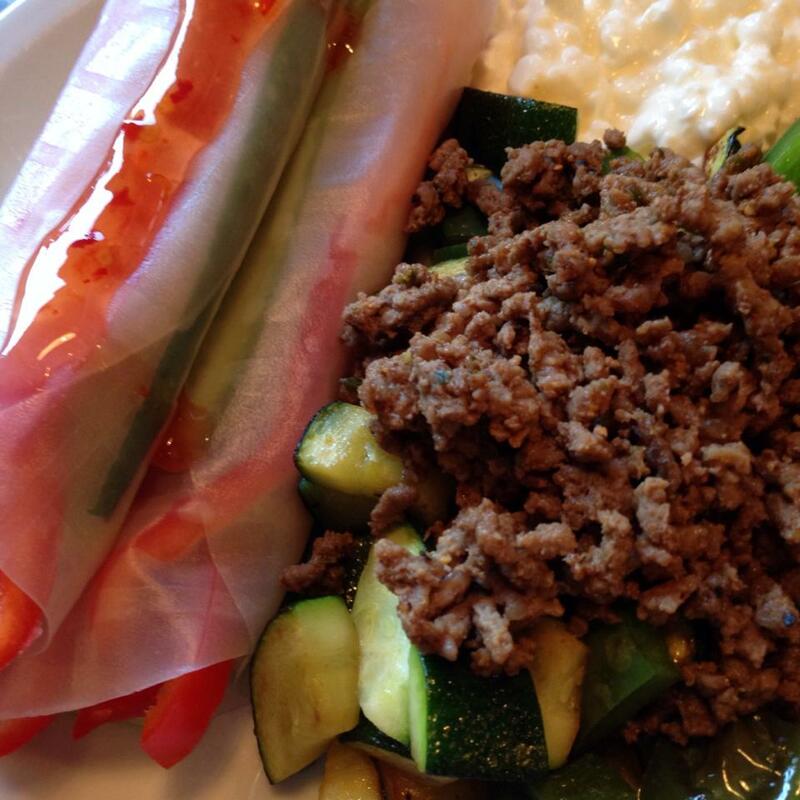 Love the idea of rice paper rolls — will have to try that. You have some delicious and healthy recipes! Looking forward to seeing more! And thanks for checking out my blog! Love the stuff on your blog!